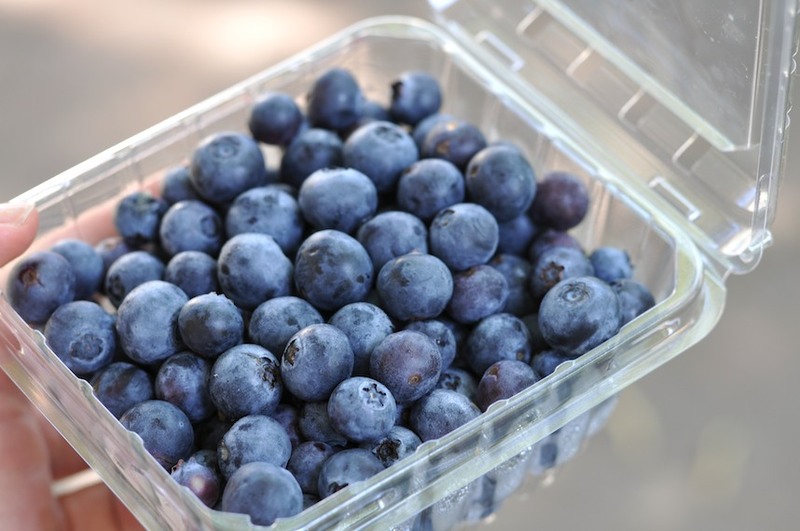 We are already a third of the way through our 20 week berry CSA. In week five we received six pounds of strawberries, a half pound of snap peas, a pound of asparagus and a pound of rhubarb. 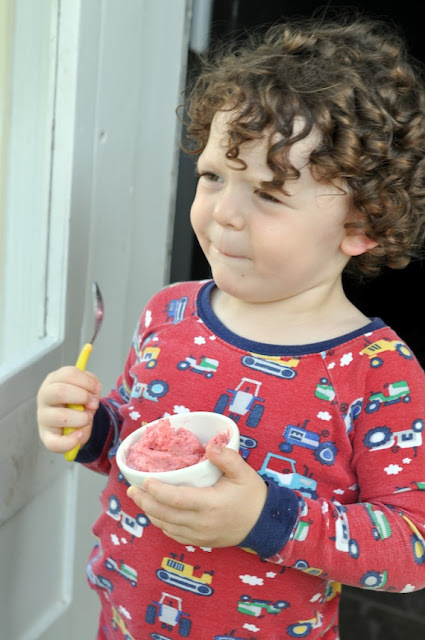 In week six we received four pounds of strawberries, four pints of blueberries, and one pint of raspberries. Members receive a 20% discount on any additional produce purchased, so it adds value to buy up a few extra units of strawberries, raspberries, and/or blueberries, which we always do. 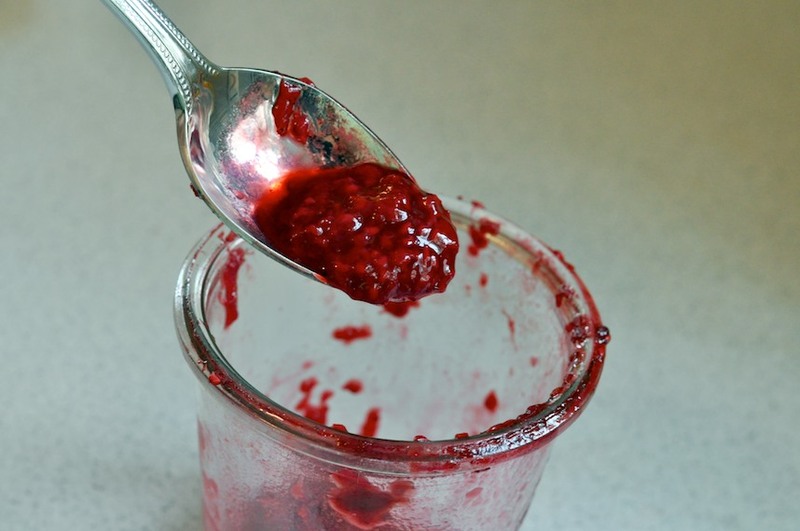 If there is anything left at the end of the week it becomes jam for toast or yogurt. We're loving all this fruit, but I'll admit to being a little a lot lazy with our veggies. The asparagus was made to wait too long, and even though I had big (beer battered) plans for them, by the time I got to the bunch it was too late. Both weeks, the snap peas didn't make it much further than to be washed and left at eye level in the fridge so the kids could reach in and munch them for snacks, which only happened a handful of times. I ate a few with some cheddar cheese but, well, we really should have given them away before they went bad. An instant family favorite. 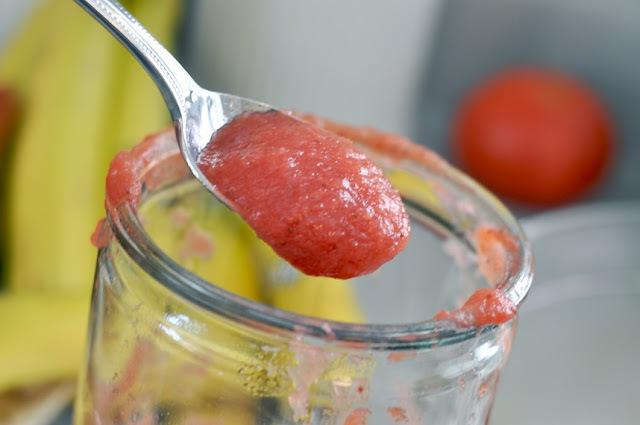 Although my preference would have been to use full fat buttermilk I grabbed low-fat by mistake, but it still turned out great--tangy and refreshing, with true-to-life strawberry flavor. 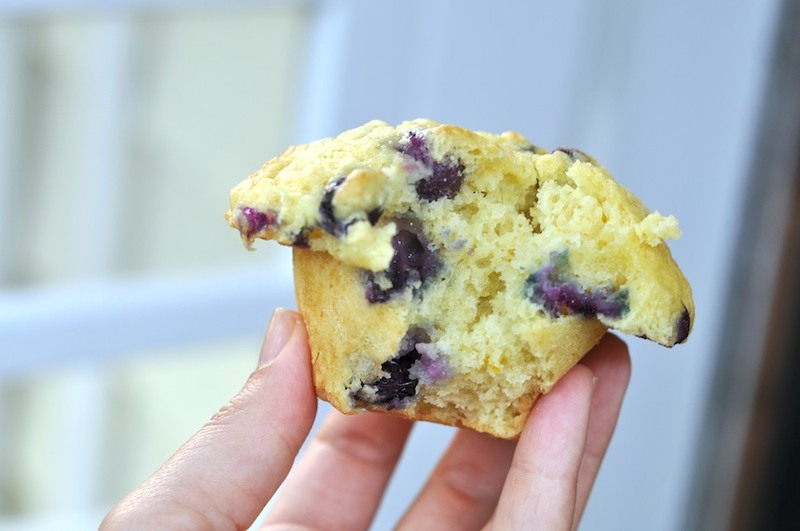 Ina's uncomplicated recipe makes a classic blueberry muffin. 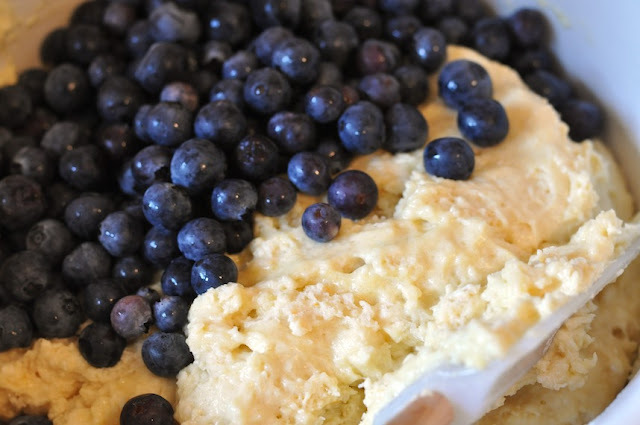 The batter alone is worth the effort, if you like to eat it straight from the bowl like we do. I didn't love this recipe. Maybe I was just in the mood for something sweeter, but a shortbread cookie crust would have been a better pairing. 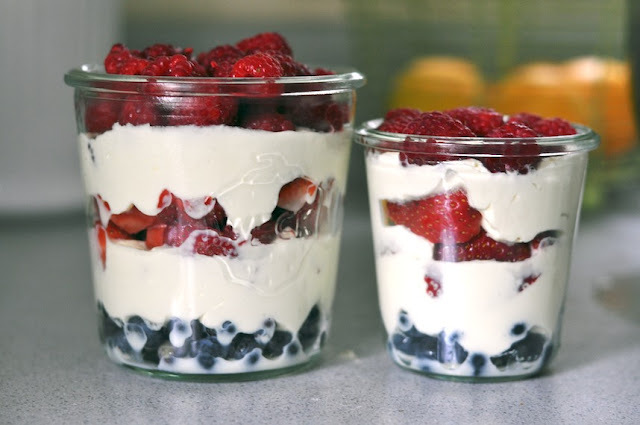 We had some heavy cream just hanging out, so I decided to whip it up and layer it with berries for a festive to-go dessert for Andy's lunch on Monday. I ate mine (the bigger of the two) for breakfast, with an egg. 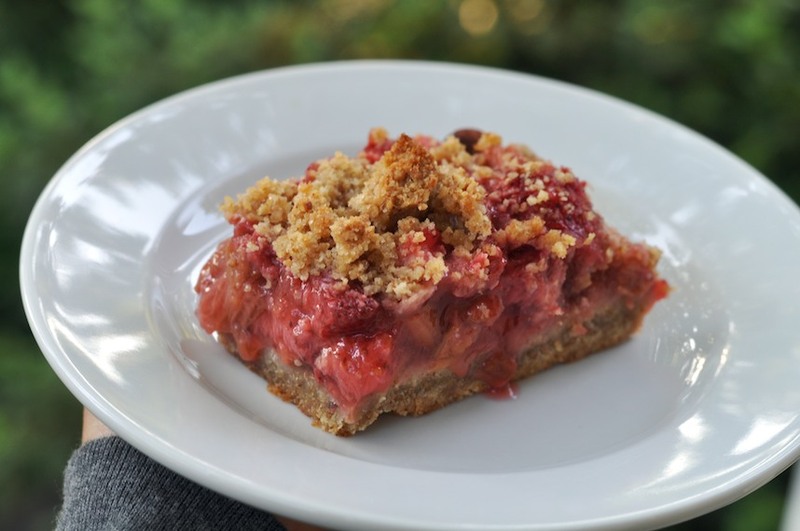 Strawberries and apples were made for each other and applesauce is too easy to make. I peeled and roughly sliced into quarters about 20 apples and then dumped into the pot a pound and a half of hulled strawberries, brought it to a boil and let it simmer for 30 or 40 minutes. I sweetened it with a tablespoon or two of maple syrup. The kids loved it, I ate it for dessert. Oh, I almost forgot. I made this strawberry dressing too. Do you have a strawberry recipe that you think I would like? Oh wow! All sorts of yummy in this post! I usually just freeze extra strawberries and use them for smoothies later. 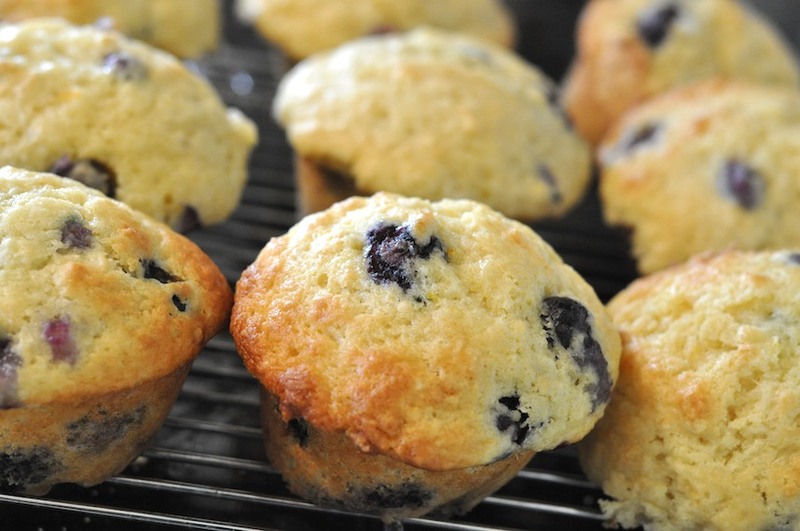 Or use them to make muffins and freeze the muffins. Roscoe's curly hair just kills me! So so cute!